Neither were Loyalist paramilitaries, you know. UWC, namely Harry West, Bill Craig and Ian Paisley (the leaders of the three political parties  Ulster Unionist Party, Vanguard Unionist Progressive Party and Democratic Unionist Party  that formed the pro-strike United Ulster Unionist Council), Andy Tyrie and Tommy Lyttle of the UDA and the UVF's Ken Gibson. Unionist leaders and loyalists terrorists was together in the leadership of he Ulster workers council strike. He's done his usual disappearing act when challenged with facts. Will pop back at some point like a cartoon mole popping out of another hole shouting Ulster till I die until challenged with facts, disappears again, pops out another hole whinging Ulster till I die, challenged by facts, disappear, pops out hole, challenged by facts and on and on in his eternal groundhog day inane loop. UWC, namely Harry West, Bill Craig and Ian Paisley (the leaders of the three political parties – Ulster Unionist Party, Vanguard Unionist Progressive Party and Democratic Unionist Party – that formed the pro-strike United Ulster Unionist Council), Andy Tyrie and Tommy Lyttle of the UDA and the UVF's Ken Gibson. So Unionists knew the loyalist paramilitary leaders but nationalists did not know the Reb ones. Are you so naive to believe that. As I said what's sauce for the goose. You can't blame unionists for doing stuff and ignore your own community who did the same. Firstly their is no group called "nationalists". The fact is the Orange order and British army allowed known loyalist terrorists to stay in their ranks. Now to enter either of those grouping their is criteria to which you must apply and more importantly people are removed form those orginisation if they do not live up to the standards set. With the GAA has non selective membership. To the extent that they fact they have family membership. FYI: The members of a secret grouping tend not to tell people that they are members. I did see members of the security forces assuming certain people to be members and giving them a hard time. Do you think that the security forces didn't know who was in the Provos? This thread is the perfect example of how the dog & newrybhollicks constantly use “ignorance & stupidity” as a debating (if u could call it that :roll tool ..... quite fascinating to witness :? I wonder does it actually fool them ... it sure as feck doesn’t fool anyone else .. are they really that far gone I wonder ? Do you actually think they'd have told their GAA colleagues that they were IRA members? It really is rather naive to suggest that IRA members went around casually telling people that they belonged to the organisation. Actually, no it is not naive, it is bloody buck-stupid. No need. The IRA paraded openly and armed around South Armagh villages - I personally gave them apples when I was doing Jonesborough Sunday market. The vids you see of them wearing balaclavas were shot for propaganda purposes. What age were you when you became aware of the Troubles ? Old enough to have participated in the 2nd NICRA march in Derry in the winter of 1968. If you are staying with the Provos then most of the Active service units would have been people they did not know. So you think the people who was doing the parading was members of ASU? Lol your expertise knows no bounds. Knowing something and proving something are two entirely different things. So they passed on what they knew to their friends in the Loyalist paramilitary groups. When that didn't work they brought Brian Nelson back from Germany and got him to direct Loyalist paramilitary groups. I don't think raking all of this up helps, both sides have actions to regret, let's be real, it is a very different world today and whatever peoples views are, being the wrong side of today's "war on terror", with all of its technology and political dogma / jingoism, is a place neither side on the island of Ireland wants to be. Well about an hour later a chopper landed and disgorged some of Her Majesties finest - a day late and a dollar short as usual - so they probably were. Most of the people there seemed to think they were. 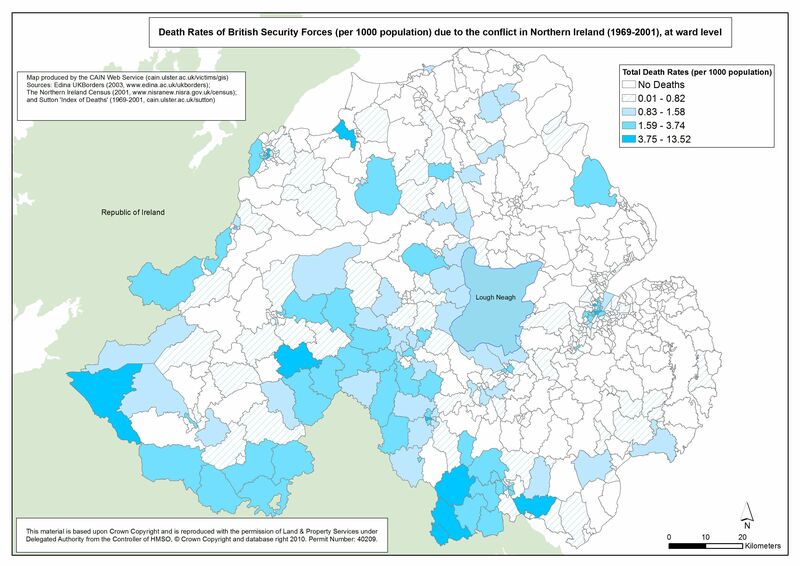 This might help the Tories/DUP in planning their new 'The Troubles Sequel - Return To South Armagh' Hard Border conditions. Easy. The Brits wasted their money on a load of useless cùnts who had to be reminded how to tie their shoelaces.